What do You Think | Strike of Lightning! listeria outbreak in the USA, Cantaloups! As many as 16 people in the United States have died within the last two months after contaminated cantaloupes tainted with the listeria bacteria made its way to grocers across America. The US Center for Disease Control and Prevention has found cases of listeria poisoning in 18 states so far, and has pegged the problem as causing at least 13 deaths. They are investigating more passings and believe that 72 people in America have been infected so far. 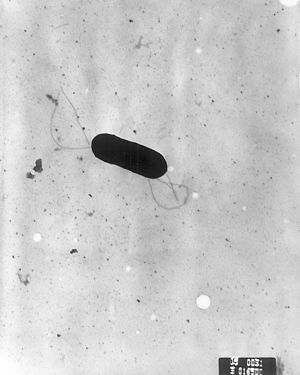 Listeria is a bacterium that is resistant to both extreme hot and cold conditions and is usually found in soil, water and the innards of animals. Food-wise, an outbreak tied to a cantaloupe harvest is unusual, however. Typically the bacterium is carried in dairy products and raw meats. There around 800 cases of listeria illness in the United States every year, but rarely does an outbreak cause so many deaths. An outbreak in 1998 caused by contaminated hot dogs and deli meats caused 32 people to die from coast-to-coast. Around 100 others were injured in that incident. The bacterium poses quite a problem to people because it could take a victim up to a month to show symptoms. “People who ate a contaminated food two weeks ago or even a week ago could still be falling sick weeks later,” says Dr. Robert Tauxe of the CDC to The Associated Press. Illnesses in this outbreak were first identified in late July, but the product was shipped to at least 17 different states between July 29 and September 10. The “Rocky Ford” brand of cantaloupe from Jensen Farms in Holly, Colorado is considered the culprit in this case. The distributor has issued a recall on their produce earlier this month, but because of its ability to withstand various heat conditions and lengthy incubation period, even those that consumed cantaloupe weeks earlier should show concern. The FDA has asked that all consumers throw out the recalled melons in order to avoid illness. Shoppers that may have picked up Rocky Ford-brand melons should look out for common symptoms of listeria, which includes fever and muscle aches, occasionally with other gastrointestinal symptoms. Meningitis and cervical infections are also known symptoms, the latter of which has been known to cause cases of stillbirth. If the condition worsens, it can often cause victims to become incapacitated and unable to speak. Pregnant women, people with AIDS and those with weakened immune systems are most vulnerable to the outbreak, says the CDC. Already more people have been killed by the listeria outbreak than the last big food scare in America. Infected peanuts back in 2008 managed to take nine lives from salmonella poisoning. Barack Obama called the Antichrist! When I get this picture from the Mexican Press, I become concerned about who is running our country! Maybe the Democrats in the USA believe that this man is the top choice, they should really think about their choice. He is the Devil in disguise! It is impossible to interupt the Antichrist, when he is speaking with a Golden Tongue, and false lips! The U.S. president, Barack Obama led a fundraising event in West Hollywood, which was altered by the disruption of a person who called the ‘Antichrist‘. When the president gave a speech in the House of Blues, where he attended a few thousand people who paid at least $ 250, an individual attempt to reach the presidium but only launched the phrase ‘Jesus Christ is God and Barack Obama is the antichrist! “. In the confusion of the secret service agents surrounded him while at the same time was overwhelmed by a cascade of boos, along with a growing cry of support for his re-election for ‘four more years! “. “First of all I mean agreed that God is King I believe in that,” resumed the president when order was restored, causing a loud applause from the audience. In his speech he held in his plan to raise taxes on the haves, in addition to criticizing Republicans who have opposed his proposed agenda. Therefore, attendees called for pressure on Republicans in Congress to approve his economic agenda this. After his speech there was a brief performance by rapper BoB who sang his hit “Nothing On You ‘.